Are you wondering what holiday gifts to get for your SecretBuilders buddies? 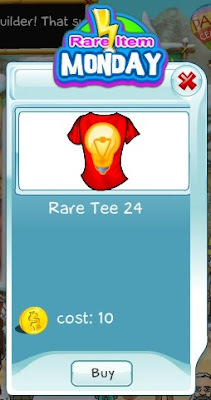 Rare Tee 24 is a great gift idea, isn't it? Everyone would love to wear one of those collectors tees. Get one for yourself as well to add to your collection. As always, each rare tee is available one day only, so don't miss the window of opportunity and act fast!